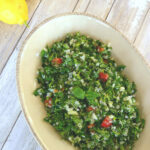 This low carb tabbouleh is my version of the Lebanese classic herb salad. It’s light and fresh, and the perfect side dish for a spring or summer meal. 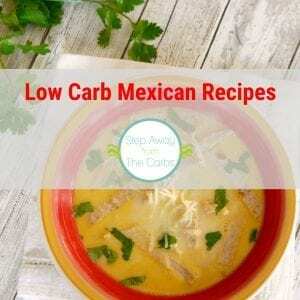 Keto, gluten free, and dairy free recipe. About 20 years ago, in London, I used to work near a Lebanese deli. 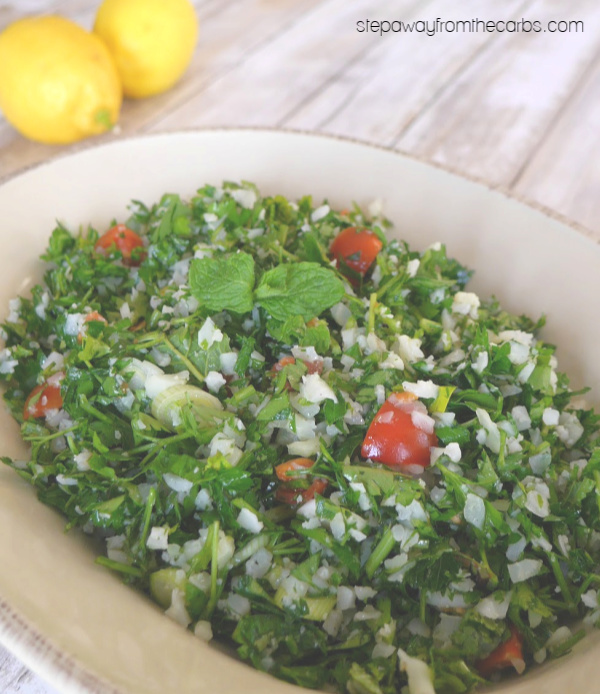 They offered some fantastic food but I absolutely adored their tabbouleh: traditionally a fresh herb salad made from parsley, mint, lemon, and bulgar wheat. It was SO good! 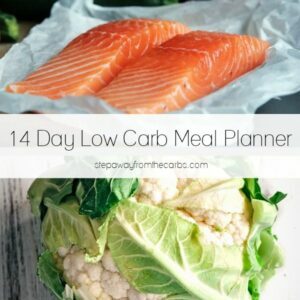 I’ve been wanting to create a low carb version for some time, replacing the bulgar wheat with cauliflower rice. 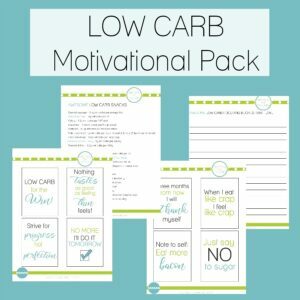 But so many recipes (whether low carb or not) seem to have the ratio wrong to me – they often seem to contain at least 50% of the “grain” – and I think it should be much less. So here’s my low carb tabbouleh – and as far as I’m aware – with a more traditional balance of ingredients. First of all, you’re going to need a LOT of flat-leaf parsley (I personally prefer the taste of this over curly parsley, but you can use either). Here are two bunches – about 7oz! 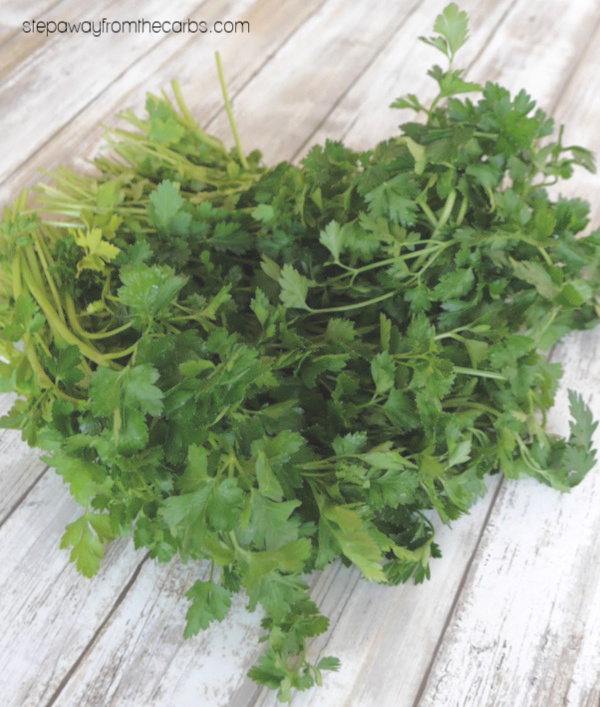 Finely chop the parsley by hand – don’t be tempted to use a food processor or some of it will turn into paste. It will only take five minutes or so. 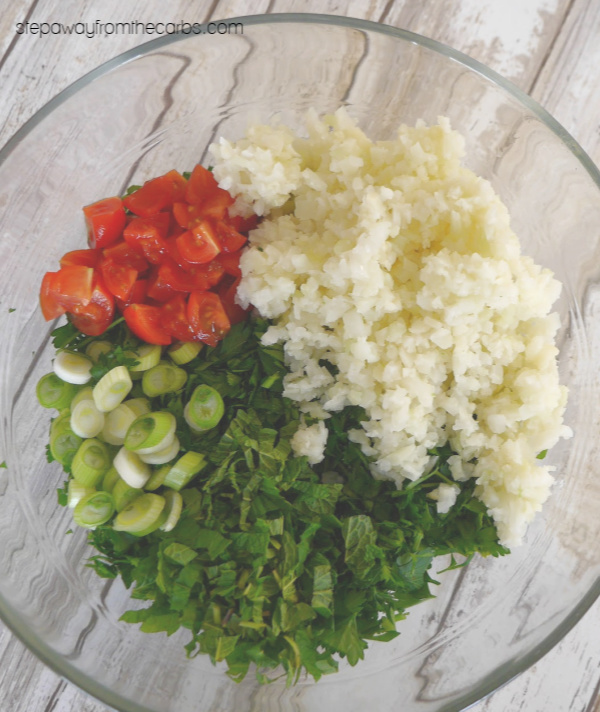 Next, add the other main salad ingredients: chopped fresh mint, cooked (and cooled) cauliflower rice, diced cherry tomatoes, and finely chopped green onions. For the cauliflower rice, I’ve been buying 1lb bags from Costco recently. All you need to do is steam it in the microwave and let it cool. Save half of the bag for another use, and use half in this recipe. 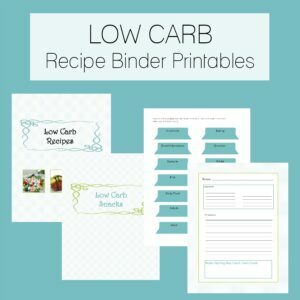 If you want to make your own riced cauliflower, you can read how to do it in my low carb pilaf recipe. Add some of your finest extra virgin olive oil (and if you’re in the US – read my EVOO article and find out how you can get a bottle for just $1!!! ), fresh lemon juice, salt and black pepper. Mix it all together. 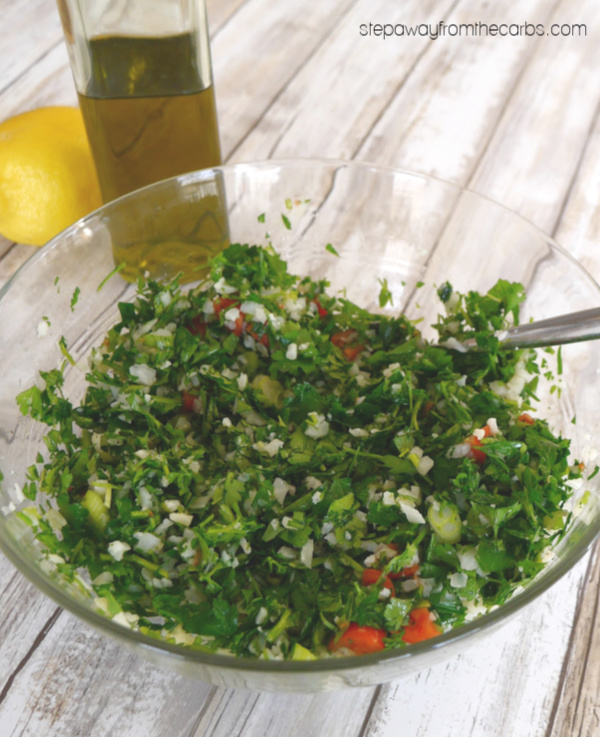 Transfer the tabbouleh to a serving bowl, cover, and leave in the fridge for at least 30 minutes. 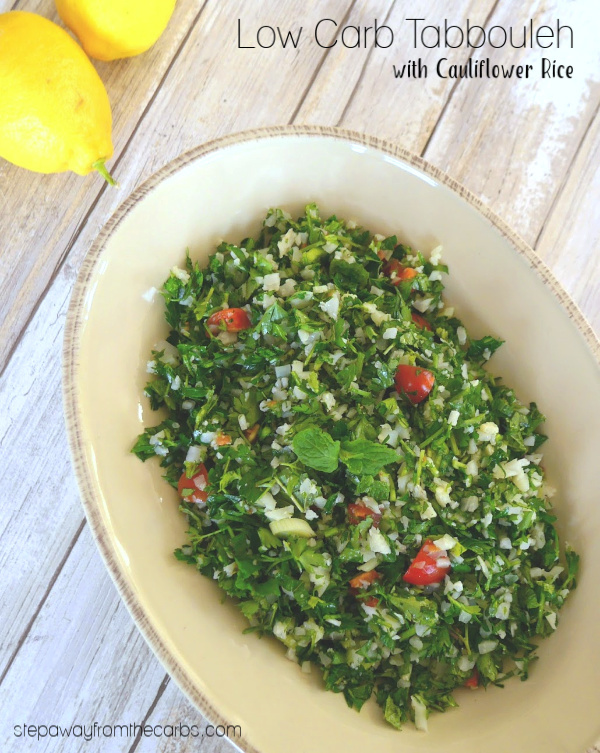 This low carb tabbouleh is perfect for a spring or summer side dish to accompany some grilled meat or fish! This low carb tabbouleh is my version of the Lebanese classic herb salad. It's light and fresh, and the perfect side dish for a spring or summer meal. 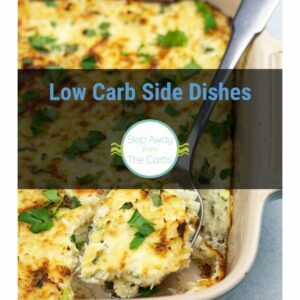 Keto, gluten free, and dairy free recipe. 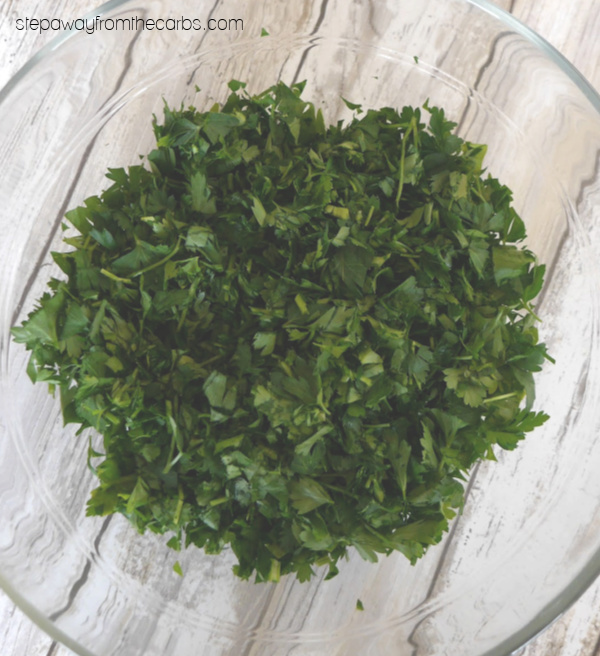 Finely chop the parsley (stalks and leaves), and place it in a large bowl. Next, add the chopped fresh mint, cauliflower rice, cherry tomatoes, and green onions. Add your finest extra virgin olive oil, fresh lemon juice, salt and black pepper. Mix it all together.